Written by Halie Miller; DM by Kelsey Kuethe. I’m amused by the clearly biased. Jim DeMint, former U.S. Senator and soon-to-be president of the Heritage Foundation, a conservative “think tank,” really struck my funny bone with his Washington Post article, “Conservative ideas need a new message.” The title sports a statement I can certainly agree with; the conservative GOP really does need a new message if they hope to win over voters in the next round of federal elections. When reading DeMint’s writing, however, I found myself wondering how he thought insistences, like “progressive central planning has failed throughout history and is still failing today,” would win him the ear of informed citizens looking for unbiased alternatives to progressive or liberal ideas. First, “progressive central planning” is misleading. “Central planning,” also known as “economic planning,” is defined as any arrangement or guidance of economic activity outside of the control of our capitalist market. I can almost hear DeMint thinking, “Let’s slap the word progressive on this sucker and make it sound detestable!” Perhaps an unfair sentiment, but I mean, come on—do I really have to bring up FDR’s New Deal to make my point? (Here, conservatives are criticizing his economic interventionism.) Clearly, no matter how one views our current governmental trajectory, economic planning has been a part of our system (as most governmental systems use a combination of free marketing and planning) with winning results for generations. 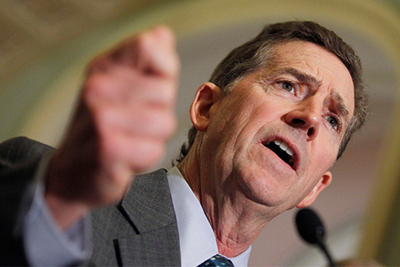 Does DeMint want to see the abolition of the FDA? I didn’t think so. With this in mind, I knew DeMint’s article would be laced with bias, as most political articles are, but I gave it a read anyway, remembering what I perceived to be his central messages: “[c]onservative ideas work,” whereas progressive ideas don’t, and Heritage will demonstrate to citizens how conservative reform is crucial to our government and economy. It was difficult. When a point of view becomes so staunchly insisted upon that it hiders working together for the greater good, it is no longer a practical point of view. I don’t doubt that conservative ideas work when properly executed in conjunction with progressive ideas; in fact, I’m confident they do—though I do agree when DeMint suggests that conservatives can no longer rely on a “political [party] to carry [their] message,” as Romney’s candidacy should have taught us. As I cower under the table fearing the sure backlash from my offhanded comment, I continue to insist that, though I’m using DeMint’s article as an example of staunch minority mindset, the same mindset occurs in the other wing as surely as I breathe. DeMint’s assertion that “November’s election results and exit polls suggest that a majority of Americans agree that government does too much, yet still voted for more of it” lends itself to this—that in reaction to one another and in emphasizing the “my way is the correct way” mentality, “Democratic” has become synonymous with “give everyone everything for free” and “Republican” has become “give no one any help at all.” When a voter has to make a choice, I’d wager many of them would reluctantly choose the more charitable, if not more financially savvy, option. 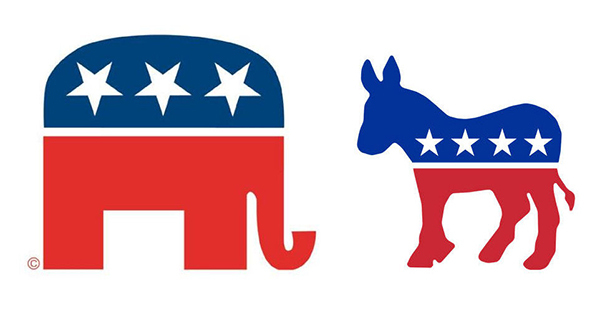 That’s not the way these parties were intended to polarize, but their transformation really has made Congress, as DeMint said, “the place where good ideas go to die” (due, though, to lack of compromise on both sides, not progressive inference). DeMint makes reference to several Heritage-originated, conservative ideas that he and others view as necessary and beneficial, purporting that President Obama either wrongly dismantled, in the case of missile defense, or undermined them, in the case of welfare reform. If such is true (an argument I’m neither prepared for nor willing to undertake at the present), my point is only made clearer that satisfactory and necessary compromise is not being reached by anyone and, through lack of compromise, the voices of the majority—the moderate American citizens—are not being heard. DeMint wonders at what he views to be Americans’ reluctance to “[demand] the ideas and policies that will improve their lives and brighten their future[s]” (namely, conservative strategies) and writes that research must be taken to the people as evidence of conservative policies’ successes. Good, I say, do that! But also bring evidence of progressive policies’ successes and propose how we, as Americans, can reap the benefits of each through compromise, applying each individually or combining both where necessary. If I may address those politicians at whom I direct my criticism (yes, unyielding conservatives, but I’m talking to you, too, staunch progressives), I insist you start seeing the value in each other and in your respective ideas as we moderate Americans do, and that you work to benefit all citizens in keeping with the desires of our majority. Previous articleAre general education courses a waste of time?